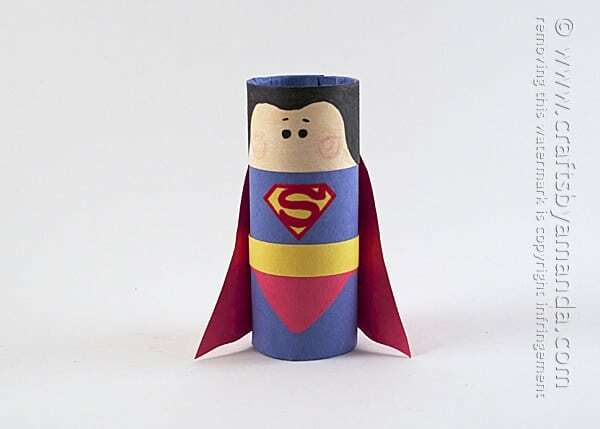 I’m going to show you how to make a Superman craft from an ordinary cardboard tube. 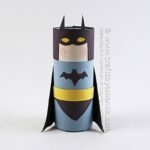 A couple days ago I shared the instructions for my cardboard tube Batman too. It’s funny how things work out. There was really no rhyme or reason for me to make both Batman and Superman, I just did. Then I found out that there’s a new movie in the works called Batman v Superman: Dawn of Justice that’s currently in production and is scheduled to release in 2016. I had no idea. Looks like Ben Affleck will be Batman while Henry Cavill plays Superman. Amy Adams stars as Lois Lane, Jesse Eisenberg will play Lex Luthor and Jeremy Irons captured the part of Alfred. A pretty star-studded cast, can’t wait to see it! 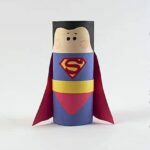 Meanwhile, I’m sure your kids (and maybe a few grown up kids too) will love making either my cardboard tube Batman or Superman! So let’s get started shall we? 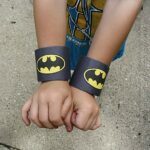 As always, a full printable supply list and instructions are at the end of this post. 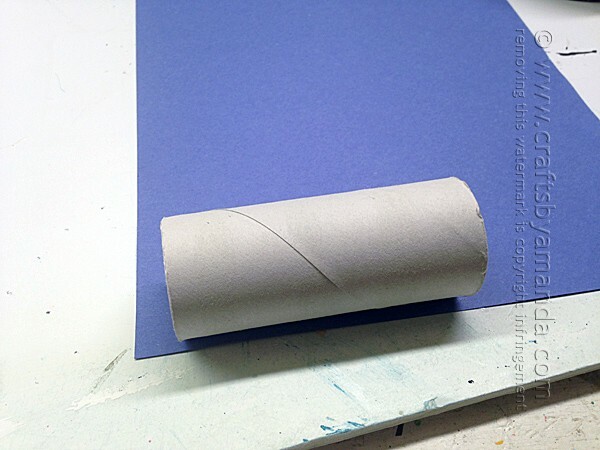 Use a glue stick to cover the cardboard tube with blue paper. Cut the head section from white paper. Color the face with peach crayon and color the remaining area (hair) with black marker. Use black marker to add eyes. Glue the head section to the cardboard tube. Cut the pants from red paper and glue around the cardboard tube. 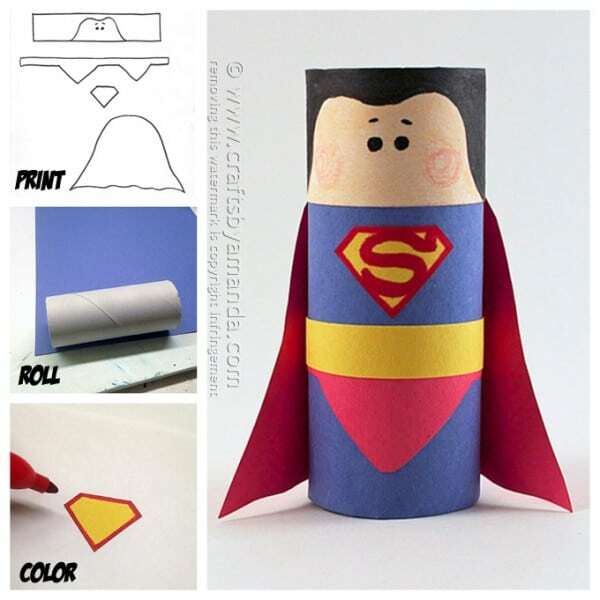 Cut out superhero emblem from yellow paper. 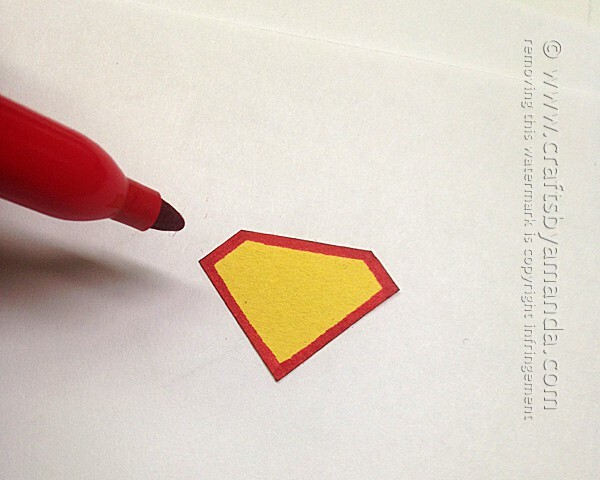 Draw a red outline around the emblem and draw an S in the middle. Glue the chest. Cut out cape from red paper. 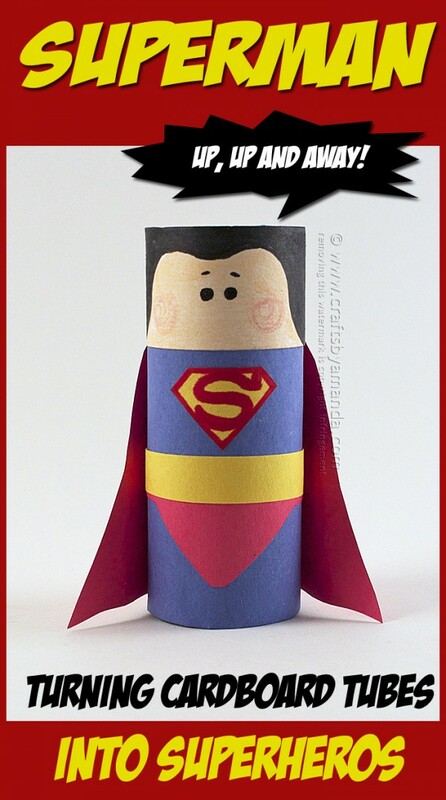 Glue the cape to his back. 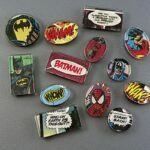 I hope you and the kids (and grown up kids, he he) have fun making these! They make great finger puppets, are fun for flying around the room, or just make adorable shelf decorations. Have fun! 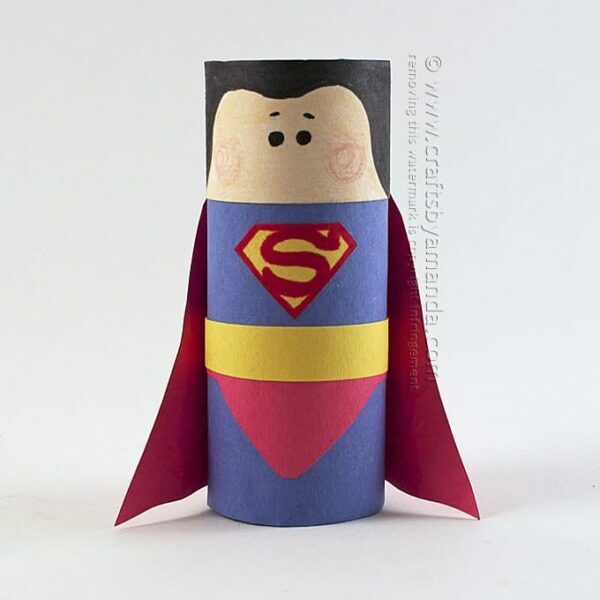 We made Superman and Batman at my kids club and they loved them.. but the girls protested that there was no Wonder Woman…. could you do a Wonder Woman..? I’ve tried but it wasn’t nearly as good as yours! Hi, Sarah! I will have to add that to my list of things to make :) Thanks for the suggestion! I hope you had fun making Superman and Batman! Jacob loved this! He immediately started to “fly” this around. At 2 years old he helped pick out the construction paper and helped with the gluing. 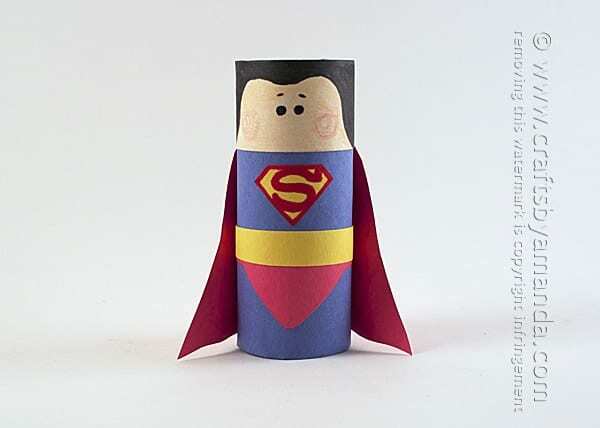 We actually super – sized superman by using a paper towel tube. Thanks for this craft! 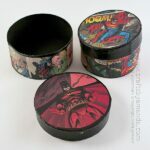 Can you do one for Thor and Loki please?